Since I moved to Colorado in June, I have been struck by many of the features of the American West that have survived into the present day. For one thing, the names of towns and cities are very different from what they are in New Jersey. The Garden State takes its place names from either the map of England such as Middlesex, Monmouth, Shrewsbury or from the Lenape Indian language as in the case of Matawan, Manalapan or Hackensack. In Colorado, on the other hand, place names are decidedly more American: Fairplay, Fort Collins, Aspen, Grant, and Jefferson. The topography is also much more western, depending on where you go. The ride from Boulder south toward Red Rocks amphitheater is bordered by dry, grassy prairie and tall rugged buttes like you might expect in Arizona or Utah. The straight, flat and sun-baked highways around Buena Vista pass through arid country is strewn with red boulder and brush that you might expect to find in the desert. One of my travel goals in the next few months is to cross the state to the South West and visit the Anasazi cliff dwellings near Mesa Verde. Call it the geography geek in me, but I’d also like to see the Four Corners. Another feature of living in the American West is the history, architecture, and topography of the mining town. For the most part, Colorado is a fairly dry country that is not the most conducive to farming. Boulder and Denver lie west of the 100th meridian, the ecological line of demarcation beyond which explorer John Wesley Powell noted that insufficient rain falls to support farming. Enough grass grows in Colorado, however, to promote a thriving livestock industry. However, during the 19thcentury, when Colorado was initially settled, what really brought people here was the allure of gold and silver in the Rocky Mountains. The overnight success of booming mining towns and the laying of railroad tracks during the 1860’s and 1870’s did much to shape the map of the present-day state. However, as is the case throughout much of the southwest, many mines either did not pan out or dried up, leaving no industry to support the towns that grew up around them. One such town is St. Elmo. St. Elmo is located in Chaffee County, 20 miles southwest of Buena Vista, in the Sawatch Range. 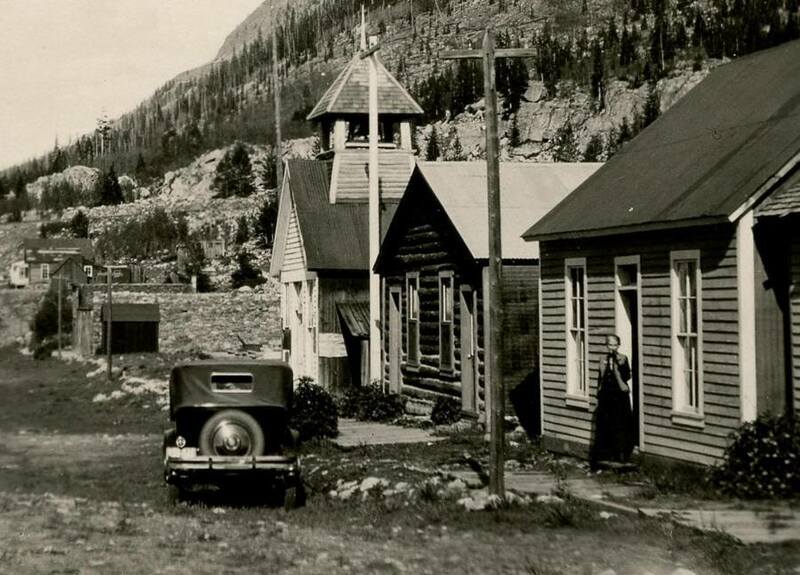 The town was founded in 1880 by prospectors looking for gold and silver in over 150 different mining claims within the area. The most famous, the Mary Murphy mine, produce $60 million worth of gold during its 40-year career. 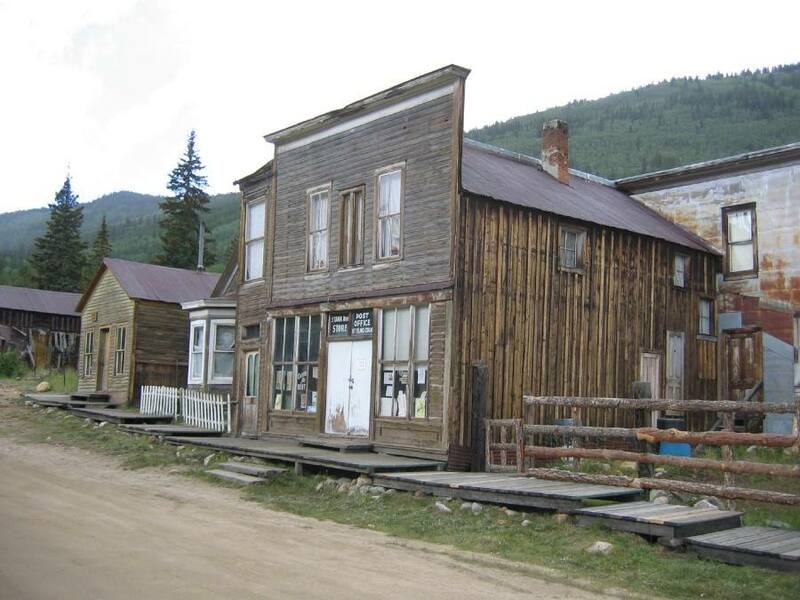 By 1890 St. Elmo had a post office, saloons, hotels, restaurants, and over 2000 residents. Located deep in the mountains at 10,000 feet in altitude, St. Elmo’s remoteness, incredible beauty, ceaseless mining activity, and ephemeral prosperity must have made the small town quite the old western good time. Of course eventually the gold and silver began to run out. In 1893 the repeal of the Sherman Silver Purchase Act devastated the silver mining industry in Colorado and St. Elmo never recovered. By the 1920’s the railroads discontinued service and nearly all of the mines closed. 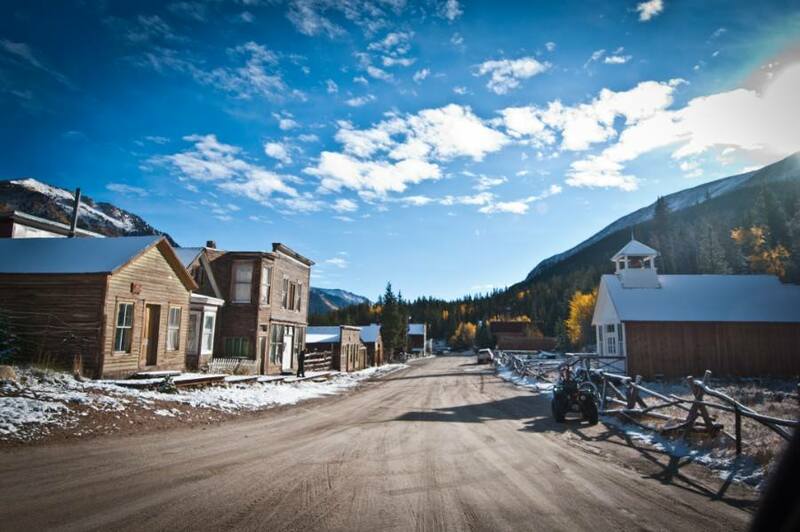 Today St. Elmo is one of the Old West’s most famous and best-preserved ghost towns. I had been thinking of visiting St. Elmo for a few months when I finally had a Sunday all to myself in mid-September. I gassed up the car for the three and a half hour journey packed a lunch and set off. The route to St. Elmo is a relatively simple one, passing south down the Front Range along Route 93 until picking up Route 285 south west of Denver. The 285 describes a semicircular arc through the mountains that pass through Pike National Forest, Grant, Fairplay, and Buena Visa. South of Buena Vista, you turn right at Chalk Creek Road and head into the mountains for fifteen miles – the last 2/3 of which is dirt – until you arrive there. The entire trip passes through an extremely disparate landscape of forest, mountain, grassland, and desert. After the uneventful drive down the Front Range, I picked up 285, which wound through the hills in typical Rocky Mountain fashion. After about 40 miles of driving, I approached the summit of Kenosha Pass to discover a startling sight. The entire forest of aspens at that altitude had turned a golden yellow with the early onset of autumn in the mountains. Many people had parked their cars just to walk around and look at the leaves and so I, after an hour of precarious mountain driving, decided to follow suit. All around me the forest was a universe of gold with the sunshine and the aspen leaves trying to outdo each other in beauty. The air was filled with the musk of decaying leaves that makes the season so evocative. After moving on, a few miles further west 285 descends into the Banana Belt. The 20-mile valley between the forest and Fairplay looks more like something you might see in Texas or Montana than the heart of the Rockies. The land is gently rolling and grass covered with robust black and brown cattle and horses grazing everywhere. The ornate wooden archways denoting the entrances to cattle ranches line the highway. Only the surrounding horizon of jagged peaks and the unsatisfying thin air of 9000 feet remind you that this is Colorado. 30 miles farther on the scenery changes again as you approach Buena Vista. The landscape becomes boulders, cliffs, and buttes as the prairie give way to desert. Finally, after 130 miles, I came upon Chalk Creek Road. At first, the road is straight, fast and narrow, passing farmsteads and orchards before the speed slows and path winds, heading into the mountains. After passing a few small neighborhoods with quaint B&B’s advertised along the roadside, the asphalt gives way to hard packed dirt and you really begin to ascend. Although remote, St. Elmo gets a lot of visitors, whose cars and trucks raise up a fairly dense cloud of dust along the roadway. That and the occasional cliff face can make the drive fairly nerve-wracking. After a half hour of practical off-roading, however, I emerged in the sunlight onto the wide boulevard of St. Elmo’s Main Street. If you take away the cars of residents and tourists along the roadside, downtown St. Elmo is quite literally a picture of what an Old Western town should look like. The whole village lies in a narrow valley with high grayish cliff faces on either side that rise to a height well above the timberline. A rushing brook runs through the middle of town, passing behind the buildings on Main. The buildings are all squarish and made of dry, splintery timber with plain and honest square windows. The sidewalks are made of wood with steps every fifty feet or so to accommodate the slope of the street. There’s a general store, post office, jail and several private residences. The only two buildings you can enter on Main are the store, which is a working convenience store and antique shop (that even takes credit cards). The jail has been restored by the local historical society. The interior is unvarnished wood with a railing separating viewers from the jail cell in back. Plaques on the walls explain the history of the town. Some of the houses are boarded up and in a state of greater disrepair but others have the welcome mats, curtains and satellite dishes of modern civilization. There’s one turn off of Main Street and it leads to another line of houses farther up the slope. There are two sites worth seeing. A white frame schoolhouse has been restored to turn of the century appearance. In the center of the room, next to the teacher’s desk is a wood stove. There are rows of perhaps two dozen wooden desks. Bookcases, globes and old-fashioned educational posters line the walls. While it would be fun to walk around the room, a pane of glass keeps out tourists. Behind the school are the town’s public bathrooms, a stand of wooden outhouses that are as frightening as they are quaint. After wandering around town for an hour or so, satisfying my curiosity, I bought a bag of jerky from the general store, an antique medicine bottle marked “Dr. Jayne’s Expectorant,” which cost me $12 and a small history, “Memories of St. Elmo” by Charlotte Merrifield. On the drive back, I listened to the Broncos game on the radio. When I made it back to Fairplay, I decided to take a detour and head north on Route 9, passing through Breckenridge and Frisco on my way to Route 70. Along the way, I drove through the town of Alma, which at 10,500 feet is one of the highest incorporated towns in the United States.